Ryuji Yoshino will coordinate machine and plasma operation issues during the construction phase. On the day the ITER Tokamak realizes its first controlled deuterium-tritium (DT) burn, Ryuji Yoshino hopes to be there, hand on the helm. "It is a challenge for all mankind to get this to work," says Ryuji. "Realizing controlled DT burning for a new source of energy has been my personal target and dream for many years." 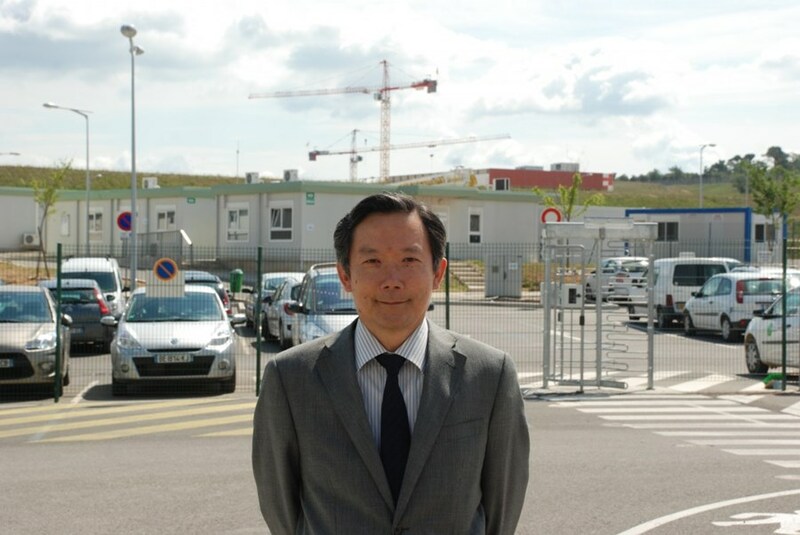 As Senior Officer for Machine Operations at ITER, Ryuji will call upon tokamak expertise acquired over thirty years, first as a specialist in control systems then as physics operator, and finally as project leader. Ryuji will coordinate machine and plasma operation issues during the construction phase, in particular central instrumentation and control (I&C), interlock and safety systems, and plasma operations. He'll begin with overseeing the development of a safety control system for ITER operation. "Creating a 'barrier' for safe operation of ITER involves interfacing with many other systems," says Ryuji. "To this task, I bring the point of view of both a plasma physicist and a machine operator." Following a degree in electrical engineering and a PhD in plasma physics, Ryuji began his career in 1980 at the JT-60 Tokamak in Japan during its design and construction phase. He worked on the supervisory control system (the equivalent of ITER's CODAC system) for plant control, discharge control, plasma real-time control and the interlock system. Following the machine's first plasma in 1985, Ryuji concentrated on feedback control of the plasma as well as plasma equilibrium and plasma shaping. From 1987 to 2000 he was the physics operator of JT-60 and JT-60U, operating the machines to realize a wide variety of experiments, using equipment such as poloidal field coil power supplies, gas puffing, pellet injection, neutral beam injection, and electron and ion cyclotron heating—all of which will be part of the ITER machine. "My experience is in how to drive the initial phase in order to get the best plasma. There are many techniques to do this...many parameters to manage," explains Ryuji. He proposed machine upgrades at JT-60U to improve performance, including the installation of the electron cyclotron resonance heating system, the modification of plasma shape in order to increase its triangularity, and the adjustment of electrical connections to the poloidal field coils for increasing efficiency of the discharge cleaning. He was also able to demonstrate, for the first time in the world, a fast plasma current shutdown using impurity pellet injection (also called 'killer pellet injection). Ryuji became skilled during this phase of his career at coordinating machine operators and researchers to identify and implement experimental targets, and forging consensus to ensure successful experimental results. "In my experience," he explains, "it is very important that the plasma physics people and the plant system people work closely together for successful operation of the machine. Constructive relationships make a lot of difference." In 2007, he stepped naturally into the shoes of JADA Leader, taking over the implementation of Japanese in-kind procurement responsibilities to ITER. "Responsibilities of the past years have taught me that it's important to have a well-defined target that is understood by all, a common vision, and a similar spirit for a project to be successful. I hope to apply these principles in my area of expertise at ITER. Since his arrival in early May, Ryuji has been settling—slowly—into his new life in France. "Everything is drastically different here!" he exclaims. "On my first night, without the help of a friendly restaurant owner, I may never have found my lodgings...But every day I am excited to come to work. To have seen ITER move from Conceptual Design Activities to construction is wonderful. To me, it's like a miracle!" The knowledge and skills gained during the course of his career in Japan make him uniquely suited to the task at hand. Getting just the right parameters for plasma operation at ITER will require mastery of control systems, plasma physics operations, and leadership. Few can say, as Ryuji, that they have worn all three hats.